Sundays should just be called Doomsday. It’s 2 p.m. on a Sunday and I am in my typical Sunday shutdown. I will spend the next 16 hours until my alarm goes off, moping around the house, lashing out at people for no reason, complaining about Monday. I’ve acted like this since kindergarden. Proof that you can’t teach an old dog new tricks. Parsnips are weird little guys. They look like some unidentifiable root vegetable, but taste like carrots. Very Twilight Zone. Mixed with potatoes, the parsnips, which could have taken a terrible baby food turn, are creamy and rich due to all the starches. 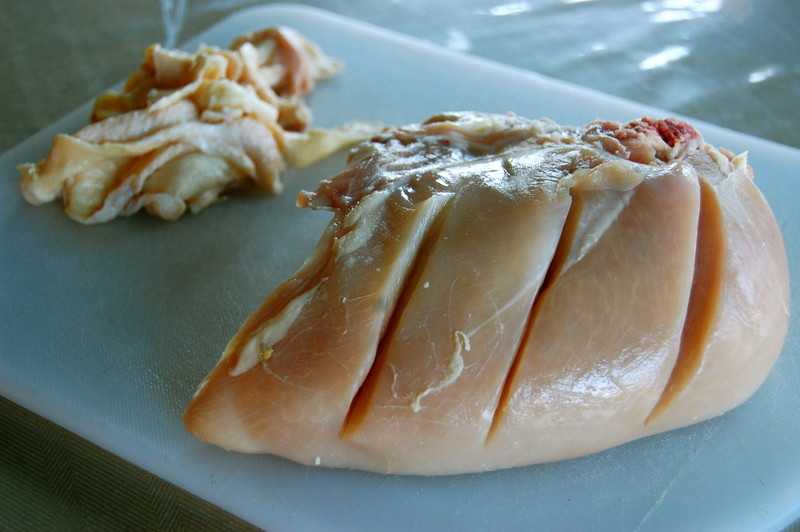 For the Chicken: Trim the fat off of your chicken and cut big slits in the chicken so the marinade can soak in. Then, set side. In a large container, mix together the apple cider, olive oil, apple cider vinegar, dijon mustard, garlic, salt, and pepper. 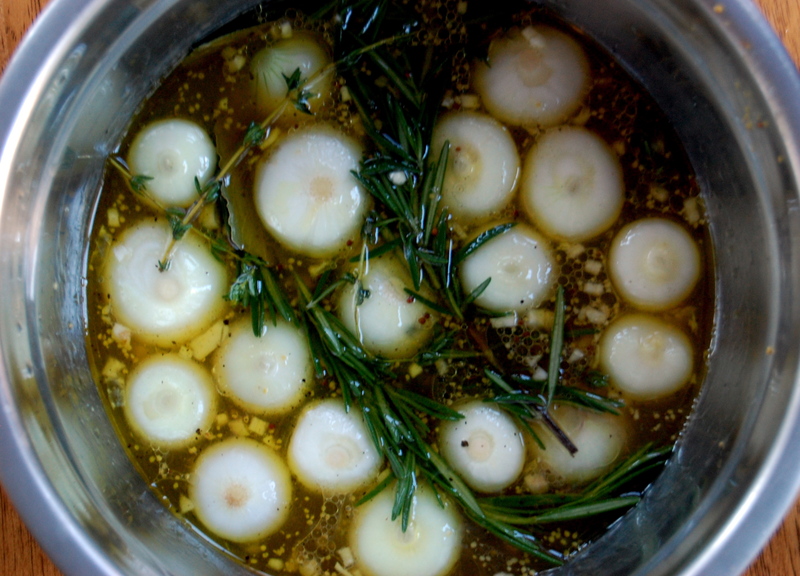 Then, add in the pearl onions, rosemary, and bay leaf. 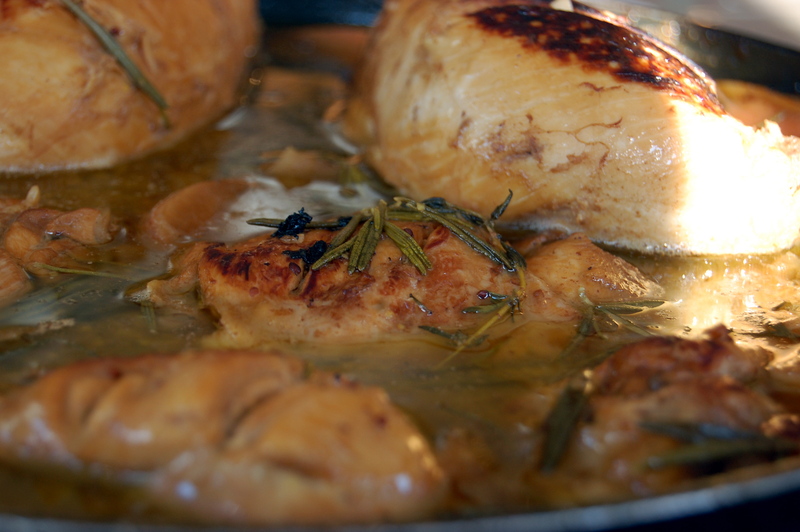 Add your chicken and let it marinate in the fridge for at least 2 hours, or up to 24 hours. I soaked mine for 6 hours and it was fabulous. After your chicken has marinated, remove chicken from marinade and let it get to room temperature for an hour, this will help it sear better. 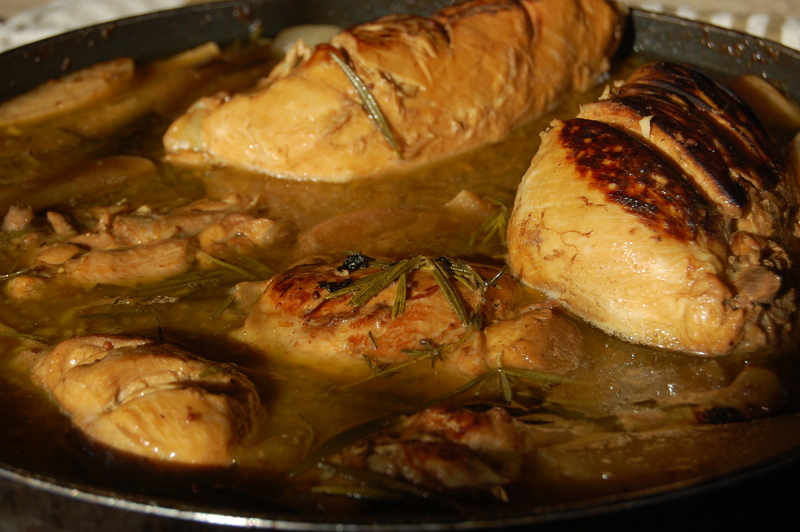 Heat some olive oil in a large pan and sear the chicken on both sides until it is golden brown and beautiful. Once seared, pour your marinade into the pan and turn the meat to low. At this time, add your apple slices into the pan. You can add in more rosemary or thyme at this time too, I did. Place a lid over your chicken. Every 15 minutes, flip the chicken over so each sides gets time in the apple cider jacuzzi that you have created. While the chicken is doing its thing, begin progress on the mashed parsnips and potatoes. Cook the chicken for 60-90 minutes, until the chicken is literally falling off the bone. So succulent and rich. For the Mashed Parsnips & Potatoes: Peel your parsnips. 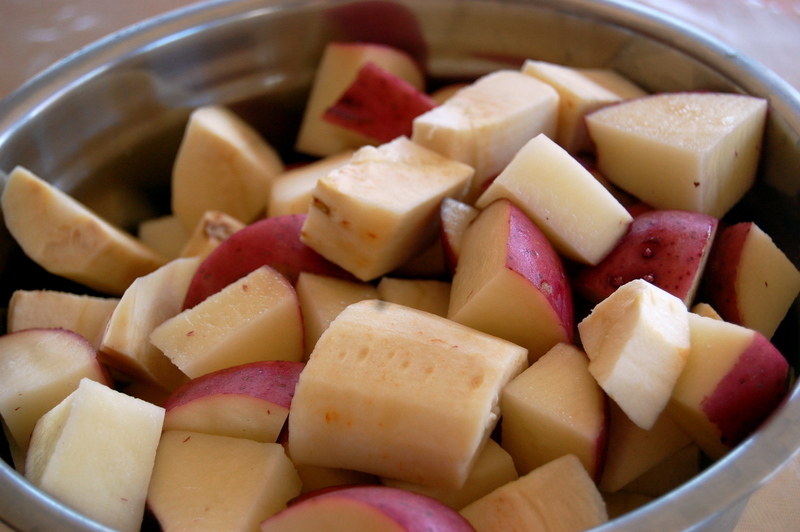 Cut the parsnips and potatoes into equal sized cubes. Place your parsnips and potatoes into a large pot and cover with water until the vegetables are just covered. Cook for about 30-40 minutes until your parsnips and potatoes are tender. Then, drain the liquid and put your vegetables back into the pot. 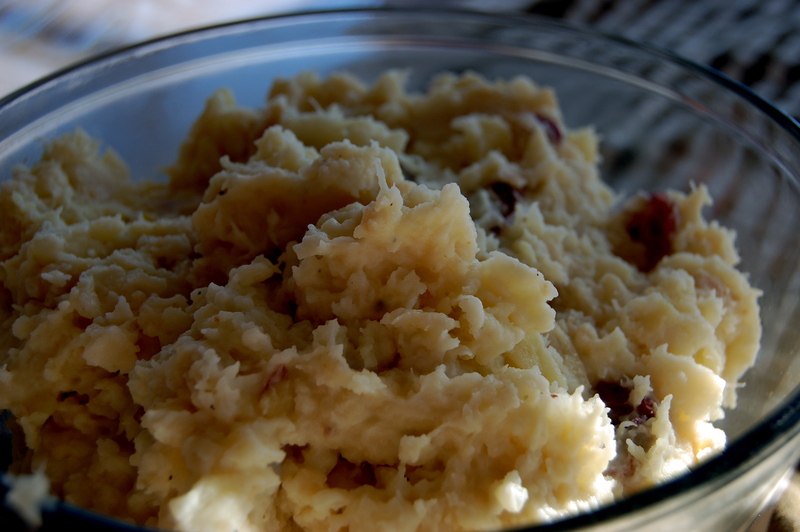 Add the sour cream, butter, milk, salt and pepper to taste and mash until it is to your desired consistence. I made mine on the chunky side. To plate, place a nice spoonful of your mashed parsnips and potatoes onto your plate. 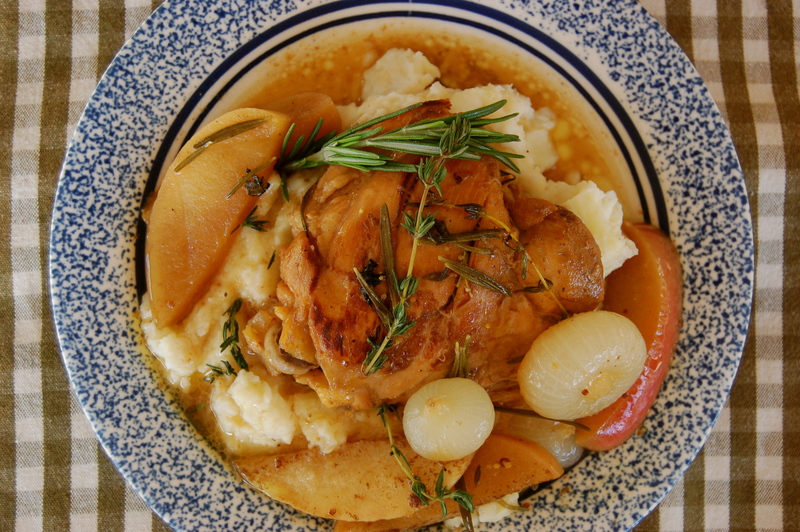 Put your tender chicken on top and smother the top with the apple cider gravy, apple slices, pearl onions, and fragrant rosemary and thyme. 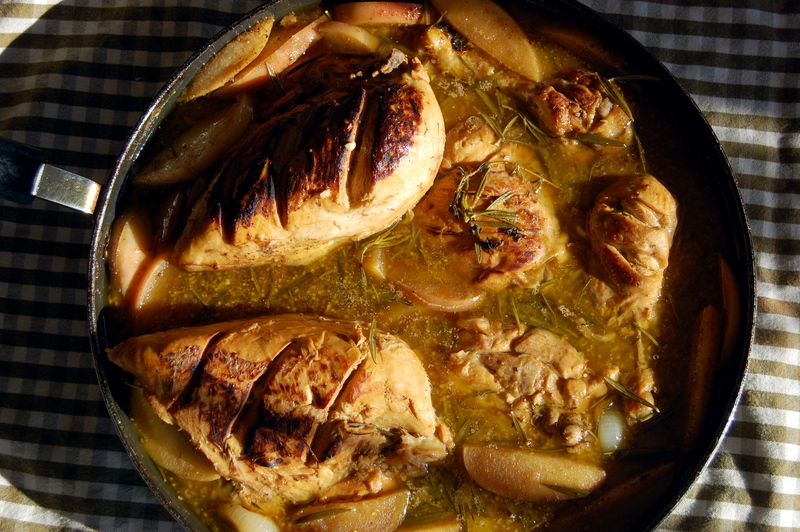 The chicken is sweet and savory and marries perfectly with the apples that are soft and taste like candy, and the parsnips cut the sweetness with a wonderful earthy flavor and creamy texture. Ugh, my mouth is watering. It’s snowing here in New Jersey, our first real snow in two years. 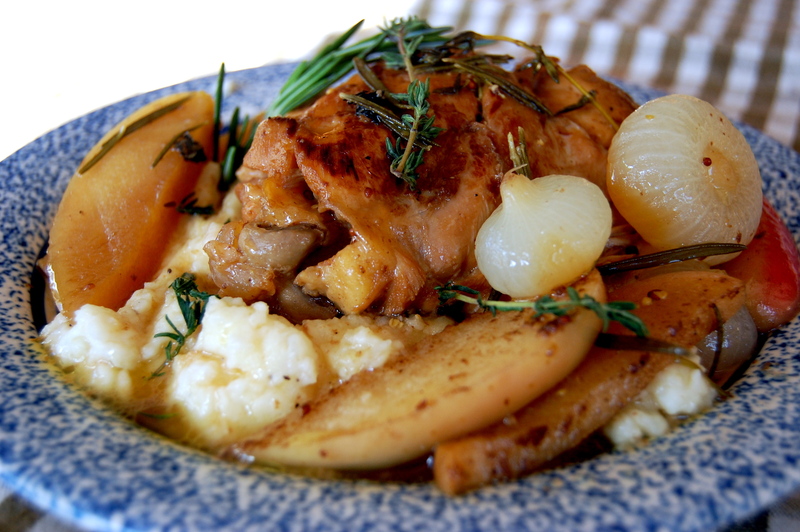 Nothing warms the soul and belly like some slow cooked chicken and earthy vegetables.